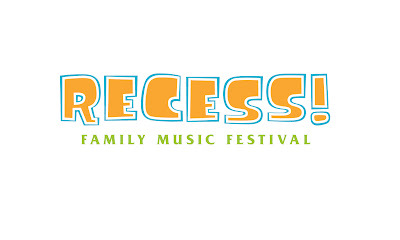 Do your kids like The Laurie Berkner Band? Dan Zanes & Friends? Ralph's World? Candy Band? The Verve Pipe? the School of Rock? Have I got great news for you! All of these artists, along with other performers and deejays, games, interactive activities, storytelling, and fun workshops are coming to Meadow Brook Music Festival on June 22. This all-day event runs from 11am - 5pm. In addition to these great acts, families can visit various creative spaces on the Meadow Brook grounds to write and record a song, take a dance class, do arts and crafts or get a “rock star” makeover. Sound like a fabulous event? Tickets for $25 in the pavilion and on the lawn are on sale now at Palacenet.com, The Palace Ticket Store and all Ticketmaster locations, including The Locker Room Store at Great Lakes Crossing. Tickets may be purchased with American Express, Discover, Visa and MasterCard by calling 800.745.3000. Family four-packs are also available for $75. I've got a family four-pack of tickets to giveaway!! Yay! Comment on this post with your child's favorite music for one entry. Write your own post linking to this contest for your readers. Comment with a link to your post for TWO additional entries. I'll use random.org to draw the winner on May 9. Please remember this giveaway is for people who can attend the show in Rochester, Michigan on June 22. Her favorite music of the day is Steve Songs. Of these performers, it's a toss-up between Laurie Berkner and The Verve Pipe. Mama casts a vote for TVP, though. I don't know any of those artists. Will have to look them up on youtube or check out from the library. My kids are into Barney and Muppets music. Dan Zane is all kinds of fun. This sounds like a great day for the whole family! Love that they're doing this. My kids love, love Laurie Berkner Band! Sounds like a fun day, but we'll be busy that week. Hope the winner enjoys the fun day!